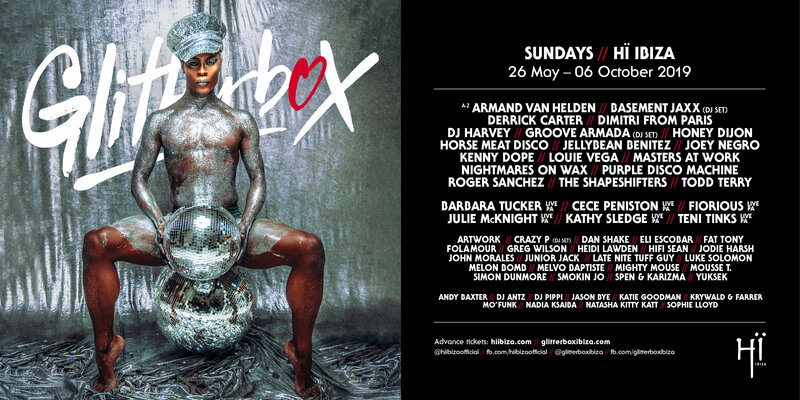 Glitterbox has locked Armand van Helden, Masters at Work, Roger Sanchez and more for Ibiza 2019. The nu-disco and house session will take over Hï Ibiza each Sunday, opening on 26th May and running weekly until 6th October. Honey Dijon, DJ Harvey, Horse Meat Disco, Purple Disco Machine, Nightmares On Wax, Derrick Carter and Dimitri From Paris are also confirmed. This summer will see a flurry of special live PAs at the events, too, including Barbara Tucker, Cece Peniston, Fiorious, Julie McKnight, Teni Tinks and Sister Sledge's Kathy Sledge. An epic 24-hour party has also been announced for Hï Ibiza and sister-club Ushuaïa to kick-start the full season at both venues.